This 166 page ebook is the definitive guide for manufacturers looking to get started with a modern, digital marketing system. These tips, tricks, and ideas will increase your sales pipeline with quality leads. Is your manufacturing website up to snuff? Download the ebook and find out. 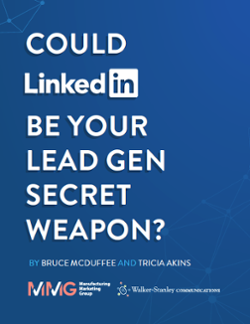 Could LinkedIn Be Your Lead Gen Secret Weapon? Need more leads? Have you tried paid LinkedIn ads? Learn all about it in this ebook. If your manufacturing business relies on local business, this book could be a game changer. 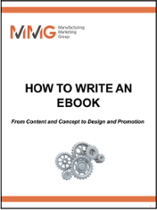 If you're looking for some SEO juice, write an ebook. But, don't write about your company or your product, write about how your expertise can help solve your customer's problems. Learn how to get it done with this ebook.